Are we on the Edge of a glorious new system? 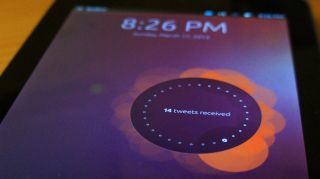 Not to get lost in the iOS 7 shuffle, the Ubuntu Touch mobile operating system finally has a launch date. Canonical, the company behind the failed (for now) Ubuntu Edge mobile phone, revealed this week that on Oct. 17, the device-jumping Ubuntu Touch will be ready for consumption. It will launch alongside Ubuntu Linux 13.10, the latest version of Ubuntu for desktop. "As part of [Ubuntu 13.10's] release, Ubuntu is committed to delivering an image of Ubuntu Touch, ready to install on supported devices," Skaggs wrote on Sept. 17. A developer edition of Ubuntu Touch was launched in February, workable on the Galaxy Nexus, Nexus 4, Nexus 7 and Nexus 10, and currently those are still the only supported devices. While the OS will launch as a download next month, PC World noted the first discrete devices running Touch won't be out until late 2013 at the earliest or early next year. Install details still aren't clear, but those should come to light closer to Touch's launch. Canonical has taken up the standard of converging computing, pushing to create a way to turn phones into the brains of PCs. Ubuntu Touch is essentially the mobile edition of Ubuntu - plug your mobile device into a monitor and the desktop version gets kicking. The company wants users brave enough to test out the developer edition to send it bugs in the meantime, ideally leading to a relatively harmless release next month. Read our interview with Canonical founder Mark Shuttleworth.